Shorebirds like this Stilt Sandpiper were the focus of Big Day 2018. Photo by Melissa James/Macaulay Library. The birds ranged from fancifully named tropical specialties like the Flammulated Treehunter to beloved North American birds like Greater Roadrunner and Downy Woodpecker. Team Colombia even picked up one species, the Santa Marta Screech-Owl, that was only formally described to science last October. 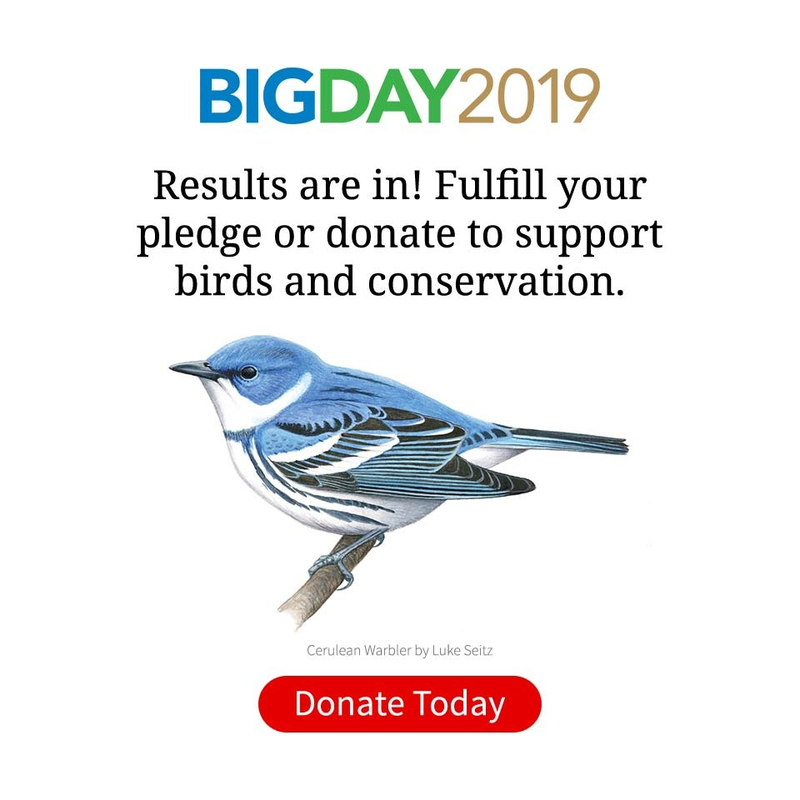 (Hence the asterisk in this post’s title—it’s officially only 591 species until the next eBird taxonomy update, in August!) Listen to the team’s recording of the owl calling. The combined checklist (see below) is a kaleidoscopic cross-section of the birds of the Americas, including 25 species of hummingbirds, 6 types of trogons, 30 kinds of raptor, and 59 flycatcher species. But above all, it was the shorebirds that highlighted how migratory pathways stitch together North, Central, and South America. Among the 37 species of shorebirds Team Sapsucker saw, birds like Sanderling, Whimbrel, Least Sandpiper, Semipalmated Plover, and Short-billed Dowitcher turned up on all three team lists. Thousands of these world travelers are scattered across the Western Hemisphere right now. All of them are on their way to the far North to breed, relying on productive stopover points like coastal wetlands and mangroves along the way. One of the goals of this Big Day is to raise awareness about the urgent need to restore and protect key coastal sites for shorebirds. Here’s how the day went for each of the teams. Thanks to LOWA Boots LLC for sponsoring Team Sapsucker. Phainopepla was one of the dry-country birds that Team California saw just after sunrise. Photo by Brian Sullivan/Macaulay Library. Team California, led by Brian Sullivan, amassed 203 species without ever leaving Monterey County. The team started in total darkness, picking up eight owl species before dawn. Then it was a sprint out to dry California valleys by dawn to pick up birds like Phainopepla, Rock Wren, and Lesser Nighthawk before the birds went quiet in the heat. The team, including Sullivan, Steve Kelling of the Cornell Lab, plus Grant Van Horn of Cal Tech and local birder Cooper Scollan, worked their way westward toward the Pacific, picking up California specialties like Hooded Oriole and Lawrence’s Goldfinch along the way. Most of Team California: Brian Sullivan, Cooper Scollan, Steve Kelling. Photo by Grant Van Horn. The day’s main challenge was the tides, according to Sullivan. At the shorebird mecca of Elkhorn Slough, high tides meant there were few mudflats within scope range to scan, making shorebird identifications a challenge. The day ended with a seawatch on a beach swarming with 500 breeding-plumaged Sanderlings. A Black-footed Albatross and tens of thousands of Sooty Shearwaters slanted across the sun as it sank into the Pacific. Team Honduras, led by Chris Wood, started in the dark with a Buff-collared Nightjar and then saw the dawn break in cool, high-elevation pine-oak forest near the capital, Tegucigalpa. The site was called Las Moras, named for copious wild blackberries that the team ate as they birded, Wood said. Migrant songbirds were still on the move, including birds like Canada Warbler, Philadelphia Vireo, and Olive-sided Flycatcher. A soft, descending whistle turned out to be a rare Ocellated Quail, one of the team’s hoped-for species—and, as an often hunted bird, an indication that the land’s protected status was working. Ocellated Quail by William Orellana/Macaulay Library. Long-tailed Manakin by Juan Carlos Vindas via Birdshare. Along a boulder-strewn creekbed, the team heard a whistled to-le-do, turned a corner, and happened on the display of an adult male and an immature male Long-tailed Manakin—adult males are stunning black birds with scarlet caps, brilliant blue backs, and long streamer tails. Team Honduras: John Van Dort, Roselvy Juarez, Jessie Barry, Norman Espinoza, Kathi Borgmann, Chris Wood. Selfie by Chris Wood. By mid-morning it was time for the six team members—Wood, Jessie Barry, and Kathi Borgmann of the Cornell Lab, along with ace local birders John van Dort, Roselvy Juarez, and Norman Espinoza—to cram into their vehicle and head south toward the Gulf of Fonseca. Along the way they picked up raptors like Gray, Zone-tailed, and Broad-winged Hawks by craning their heads to scan the sky out their windows. Fueled solely by comida chatarra (junk food)—the team took no meal breaks—they arrived at a shorebird hotspot called Punta Raton known for hosting thousands of shorebirds during migration. The hot wind howled off the sand dunes and shook their scopes, making viewing difficult but also, with any luck, keeping down the sandflies (infamous for carrying the tropical disease leishmaniasis). As night fell and a downpour threatened, the team heard a Pacific Screech-Owl. They made it to their hotel mostly dry, where a Barn Owl was the last bird for the day. Their result: an amazing 244 species and a new record for a Honduras Big Day. Throughout the days leading up to the event, the team had run into other Honduran birders—many of whom were using eBird to record birds and Merlin Bird ID as a way to narrow down IDs and learn about their country’s incredible avian riches. 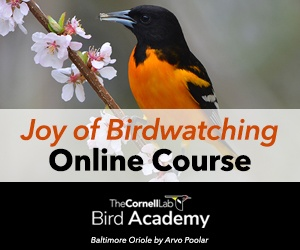 “To be in the role where the Lab is providing these resources and enabling new communities to get into birds, it’s what I enjoyed more than anything,” Barry said. Santa Marta Warbler was one of nearly 20 endemic species found by Team Colombia on their Big Day. Photo by Drew Weber. With some 1,900 species on offer and a burgeoning enthusiasm for birding sweeping the country, Colombia was a natural choice for Team Sapsucker’s Big Day. The group, led by Viviana Ruiz-Gutierrez of the Lab’s Conservation Science program, chose the Santa Marta region in the extreme north of the country. For many migrant songbirds and shorebirds, it’s the last jumping-off point before the long flight across the Caribbean. Birds like Gray-cheeked Thrushes and Red-eyed Vireos—insect-eaters in North America—spend days gorging on berries before they leave. The high, isolated Santa Marta mountains are home to two dozen endemic species, so Team Sapsucker started as high as they could go on the region’s narrow, rocky dirt roads. At 9,000 feet elevation, they fought the chill and searched out birds so unique that the place has become part of their name: Santa Marta Warbler, Woodstar, Antpitta, Bush-Tyrant, Antbird, Foliage-Gleaner, and others. Most of Team Colombia: Tim Lenz, Lina Sanchez, Viviana Ruiz-Gutierrez, Marshall Iliff, Drew Weber, Andrés Cuervo. Photo by Nick Bayly. For this stretch, the team’s seven members—Ruiz-Gutierrez, Marshall Iliff, Tim Lenz, and Drew Weber of the Cornell Lab, along with Andrés Cuervo and Lina Sanchez of Colombia’s Humboldt Biodiversity Research Institute, and Nick Bayly of SELVA Association of Colombia—traveled in two four-wheel-drive trucks operated by expert drivers. As the team passed through the hyper-diverse middle elevations, an hourlong downpour set in and shut down their birding. They had to make it to the coast by sundown, so they had no choice but to keep moving. Sparkling Violetear by Drew Weber. Finally they made it to the tropical heat of Ciénaga, which is better known as a beach town than a birding hotspot—but it still offered up Tropical Mockingbird and American Kestrel. On the other side of town, they found a flock in the mangroves, and things started picking up. After leaving the mangroves, the team headed straight to an extensive marsh bordering the Salamanca National Park, which they’d scouted earlier in the week. As the sun dipped and they strategized where to find the best light, thousands of Fulvous Whistling-Ducks, Tricolored Herons, Snowy and Great Egrets came slowly streaming in to roost. (View the team’s checklist from this spot.) A Red-breasted Meadowlark poked its head above the grasses, and a large tern flock produced Large-billed, Yellow-billed, Gull-billed, and Black Terns. Among the last birds were two rarities: Stilt Sandpiper and Long-billed Dowitcher (one of very few South American records). While Team Sapsucker was scouring their patches for nearly 600 species, some 28,000 Global Big Day birders across the world were hard at work on a much loftier list. After all was said and done, the world’s birding community had banded together to report more than 6,800 species—surpassing the record set in 2017 both in terms of species and number of participants. The species total represents almost 7 out of every 10 species in the entire world, found and reported in a single day. In addition to Team Sapsucker’s Colombia effort, the country mounted an all-out blitz for Global Big Day. The country is proud of its status as the highest bird diversity of any nation on Earth, and on this day some 4,000 Colombian birders fanned out over 730 routes to tally as many of their country’s species as possible. In the end, they found 1,545 species, edging out rival Peru by some 50 species for the #1 spot in the world—and hitting #3 in the world in terms of number of checklists filed.